In 2019, Women with Wheelz is moving to Virginia City. The City is excited to partner with Teresa’s Garage Radio Show to bring a day just for the ladies. This year the show has more to offer participants and spectators. There will be static displays, vendors, food and drinks for sale, cars from all years, makes, and models. If you wish to pay by PayPal, simply click the link below, pay the registration fee, then download and fill out the form, faxing it to 775-972-4741, email it to teresasgarage@gmail.com, or mail it to the address listed on the form. Otherwise, download the form and mail it in with your check attached if you do not have a PayPal account. Hope to see you at the show. Sponsors and displays include, Virginia City Tourism, Silverland Inn and Suites, Summit Racing, Nevada Department of Public Safety, American Home Companion, Southern Wine and Spirits, On The Side Graphics, Napa Auto Parts, O’Reilly Auto Parts, Reno Air Races, Safelite Auto Glass, Moana Nursery, Flyers, Reno Auto Wrecking and Sam’s Sparkle. Twenty nineteen is filled with great car shows. Each week we will be updating this page when new events surface. If you are a classic car enthusiastic, or just love classic cars, there is a show for you. Check back each week to see if there is a new listing. Is there a connection between those who have a passion for anything automotive and those who want to be a first responder? For me, since childhood, I wanted to be two things in life: a mechanic and a police officer. It was a challenge for me. Today that dream is within reach. During my upbringing, these professions were considered taboo for women. Women knew their so-called place in society – barefoot, pregnant and in the kitchen. The two careers you do not see on this list are mechanics and police officers. These types of jobs were considered unfeminine, and society felt women were not physically capable of performing these duties. If you tried, they considered you an outcast. Times have changed and so have the women. On my weekly radio show, “Teresa’s Garage,” I have interviewed hundreds of women in the automotive and racing industry since its first airing in 2014. Learning about what makes these women and young girls tick, I have found something very interesting. With some of those I have interviewed, we are years apart; others are close to my age. The one thing I found interesting among 85 percent of all of these ladies is this similarity that seems to connect us: we all have interest in automotive work as well as wanting to be a first responder. At first, I thought it might be a coincidence, but as time went on, the number of women with both interests grew, which increased my curiosity. So what is the connection between the two careers that makes us want to include both in our lives? For me, it was an easy decision; I knew early on I wanted to be both, but for other women, I am still trying to find the link to the reasons. I find it very interesting that these two careers really have a connection, even though they are so different from one another. Let’s break down each career. First Responders are quick to respond; they help people; they are doctors, nurses, firefighters, police officers, etc. Lifesaving is a top priority. They repair lives, work on call, wear a uniform, solve problems, work as a team, and must have tools to do their job, not to mention the adrenalin rush this profession creates on a daily basis. Now let’s look at the automotive industry. This industry is not just about mechanics, it also includes race car drivers. Like first responders, mechanics must solve problems, diagnose issues, and wear a uniform; they save lives by performing their jobs correctly and keeping the customers’ cars operating safely. They work as a team most times, and they need tools to perform their duties. Race car drivers get an adrenalin rush when soaring down a track at high rates of speed. They must help their mechanics solve problems with the race car and working as a team is a must. On the track, maintaining control of your vehicle under these intense conditions saves lives, otherwise more crashes could occur. They wear a racing suit and helmet for safety, and depend on their mechanics to ensure the car is safe at such high speeds. So these professions do share some common elements – but what is the true connection between these two careers? Frankly, I could not pinpoint the answer. The one thing I learned is we are tomboys. I will continue to pursue the reason and continue to enjoy the interviews of all these amazing women who dare to be different and follow their dreams. I recently received a question from a reader about humidity, asking if it has an effect on brake pads. The mechanic informed the car owner that the reason her front pads were squealing was due to humidity. Still not convinced that the cause of the car’s brakes sounding like a cat squealing at a high pitch was humidity, she reached out to me for clarification. There have been studies done on this topic with results that are quite interesting. Passenger cars with NAO (Non-Asbestos Organic) disc pads were subjected to low and high humidity conditions. Humidity was found to measurably affect pad dimensions, pad hardness, compressibility, friction, pad wear, disc wear, disc roughness, DTV (Disc Thickness Variation) and brake noise. Also, the friction film is found to absorb a significant amount of moisture. In order to clarify the influence of humidity on the coefficient of friction and brake squeal generation, a series of brake rig tests have been performed. The influence of both air humidity and pad humidity was evaluated. The results show that, between 20 and 80 percent relative humidity, air humidity has a limited influence on the coefficient of friction. Nevertheless, in a humid atmo- sphere, the friction coefficient was considerably lower than in a wet environment for two of the pads and higher for one pad. This is believed to be an effect of different mechanisms of tribofilm formation on the pad surfaces. The tribofilm observed on the pads mainly consists of iron oxide originating from the disc. The film is more easily formed in dry environments and usually by the pads with low often seen during each individual metal content. The friction increase stop is slightly lower at high air humidity. This effect is more pronounced for the pads with high metal content. Generally, the pads with smooth surfaces were less sensitive to changes in humidity. Only a limited correlation was found between relative humidity and brake squeal generation. One of the pads generated considerably more squeal in low humidity. None of the pads showed the opposite behavior. If you’re lucky, the squealing or squeaking noise that your brakes make when you first drive your car in the morning, particularly after rain or snow, is just surface rust being scraped off the rotors by the brake pads the first few times you apply the brake pedal. It could also be the result of moisture and dirt that collects on the rotors, including from condensation caused by high humidity. If the brake squeal goes away after a few brake applications, no worries. If the noise persists most times or every time you apply the brakes, or you hear squeals continuously while you’re driving, the cause is more serious – and the brake job will be more expensive. Because there are several possibilities causing squealing brakes – and because brakes are a crucial safety feature – it’s best to have a pro inspect and diagnose your vehicle’s brake noise. A grinding sound usually means that the brake pads have worn away, and now the backing plates on which they were mounted are being squeezed against the rotors. This metal-to-metal contact means that you will need to replace the rotors, as well – and that you probably ignored some earlier warning signs of brake wear. This can be avoided by reducing the noise within the vehicle while driving so that you are able to hear what your car is trying to tell you. In this case, if your brakes are metal to metal, not only did you not hear the brake wear indicators screeching, the cost of a brake job will be considerably more. The advice to my reader is, get a second opinion and be sure that your vehicle is using the type of brake pads recommended by the manufacturer. If you find that aftermarket parts (not made by the manufacturer) are repeating the same issue, then replace them with an OEM (original equipment manufacturer) set of pads to see if this eliminates the problem. After the repair is performed, request a test drive with the service writer or mechanic to insure that the problem has been resolved before you pay. Happy Motoring. For the last five years, the Honda Civic is not only the most popular car selling at dealerships, but also the number one most-stolen car in America. But Honda is not alone. The top five cars stolen besides the Honda Civic are, in second place, Honda Accord, third place Ford full-size pickup, fourth is the Chevrolet full-size pickup and rounding off fifth, is the Toyota Camry. While we cannot completely account for criminal behavior, it is important to note that the Accord has been one of the most popular vehicles in the U.S. for over 30 years, and in 2013 it was the best-selling new car to individual American buyers. Quality, reliability and durability are hallmarks of the Honda brand, and more Honda vehicles sold in the last 25 years are still on the road than any other brand, making it attractive to thieves. 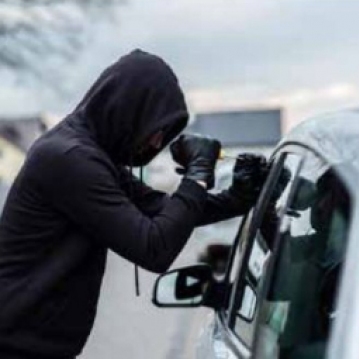 How can you make it harder for that professional thief to consider stealing your car? Nothing ruins your day faster than finding your car missing from its parking spot. Lock your vehicle: Keep your car locked at all times, including while you’re driving it. Parking: Never leave keys in a parked vehicle. Don’t leave the vehicle with open windows or sunroof. Never leave your car running when it is unattended. Hide your vehicle title where a thief won’t find it. Don’t park your car in a high crime area or in a dark spot. Valuables: Don’t tempt thieves by leaving valuable items in the car, such as laptops, cameras or cell phones. Immobilizer Theft-Deterrent System: An immobilizer theft-deterrent system is standard on the Honda Accord and Civic models. The system uses an ignition key with a built-in transponder. The car key carries a transponder code which must match a code in the vehicle computer. If they don’t match, the engine won’t start. Glass: Have your VIN etched onto each of the vehicle’s windows. It discourages thieves, who don’t want to pay to replace all the windows. Transceiver: Have a radio frequency transceiver installed on your vehicle that allows police to trace the location of a stolen car. Steering wheel lock: While these aren’t foolproof, they discourage thieves who will likely move onto another car without a steering wheel lock. With winter approaching in many states, car owners dislike jumping into a cold vehicle with frosted windows and no heat. 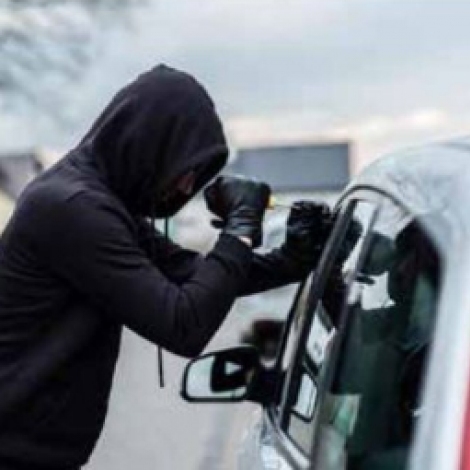 This is a crime of opportunity by leaving your car running in the driveway or in the garage thinking that you are close enough to deter a would-be car thief. Think again. By the time you hear or notice that someone is behind the wheel of your car, it is too late. If parking outdoors is your only option, then consider purchasing a remote starting system.